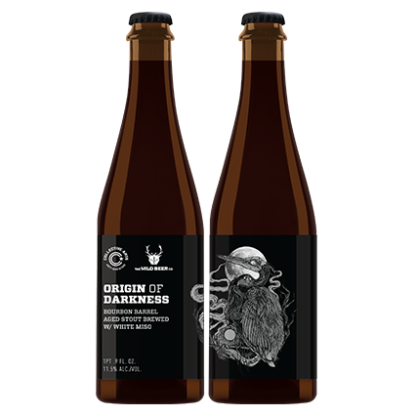 This Origin of Darkness collaboration is with our great friends at Wild Beer Co. from Somerset, UK. and is an homage to our mutual love of Asian cuisine. We added freshly carmelized white miso to the bourbon barrel-aged stout. The combination of earthy Unami, dark chocolate and bourbon vanilla is a truly delicious experience.